My trip to Florida was a lot of fun and I surpassed my goal of 50 street shots. I have not really had a chance to go through my pictures and most are still on my laptop, but when Jill here and Restless Jo here linked me for the B & W challenge – I decided to start my Florida sharing with the B & W challenge. Here is my B & W photo for Day 1 of the 5 day challenge. Looking up at a palm tree. I played with some adjustments for this shot. I finally chose this one because of the sky – and I like the way the 4 windows in the center seem to work with the sky (in my mind at least). Palm Tree in FL. Linked to LULD #79. The 5 day B & W challenge asks us to link another blogger each day – so for day #1, I am linking to Lia – who likely cannot do five in a row- but maybe she can do a single B & W post (or not). 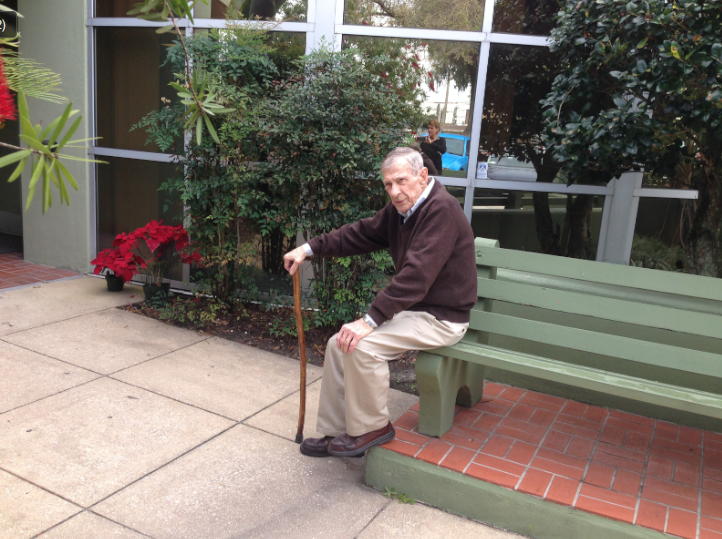 Okay, so back to FL – my mother only sees her nephrologist a few times a year and while she was checking in – I meandered outside to take a picture of this long bench for Jude’s March challenge (here). I turned around and this awesome fella showed up! This is Mark Barker who is 89 years old and still going strong. I asked if he was related to Bob Barker (he is not) and then we talked about how people “used” to ask me if I was related to Richard Pryor (I am not). This is Mark Barker and his assistant (Roxanne E. ) and she is from WNY and has lived in FL for 4 years now. Then Mark was called in and his aide and I chatted briefly. Also, it turns out that Mark’s assistant is originally from Western New York – which is where I started off in this world too. Beyond the wooden bench and beneath the palm trees, I found some typical Florida foliage. 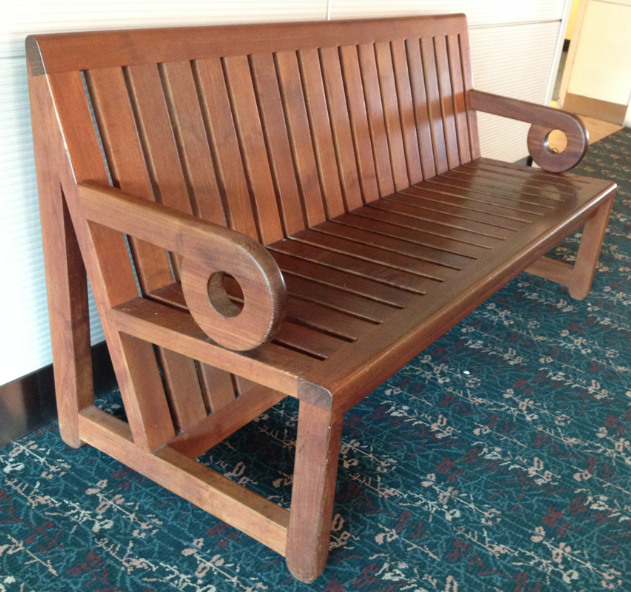 Also for Jude’s March challenge, I noticed that the Orlando airport has wooden benches everywhere. I caught a shadow in this shot. When I looked over and saw “Wally” sitting on a wooden bench, I was not really looking for additional people shots; instead, what caught my eye was how he was using an ink pen. Most people these days are on phones or using pads – so a good old fashioned ink pen was a nice sight. Wally is with Ideawild (here), which is a nonprofit group that aims to conserve biodiversity. Well that does it for my first Florida post and for post 1 for the B & W challenge. March 10, 2015 at ..
Nice shots, but as an amateur woodworker the ones that really caught my attention are the wooden benches at the airport; just beautiful! Hi Norm – they were very good quality too – which I say is about time with all the junk that is around – and nothing against Ikea – but much of their stuff feels flimsy – and well, these benches were so nice. also, I did not know you did woodworking – how fun that must be…. The first B&W picture with the windows seems to follow the rule of thirds. I just learned about that and watch for it now. Wouldn’t it be wonderful if dementia could have early detection and be cured or at least treated by simple diet and activities. The variety is good…IMHO. 🙂 Is that you in the pink sweater? March 11, 2015 at ..
thank you so much Lisa ❤ and it rained on a bunch of them p but was still nice…. P, you have an eye for unusualness. The picture of Mark Barker told me a (human) story, then you switched to the picture of foliage (beautiful) which showed a part of the world ignored by many (given how critical green preservation is.) Wooden benches at the airport in Orlando. Interesting. I’ve been to Orlando but not to the airport. This post has captured multiple subjects in an organic and convincing way. A great post my friend and great shots! Wanting to go to Florida now! Welcome back! Looks like a great time and how charming is Mr. Barker! So sweet! Oh and I humbly accept your 5 day B & W challenge but yes, I think I’ll shake up the rules a bit! Thanks! I am feeling better… Yep, I’ve got a post in the works! Have a great start to the day! March 12, 2015 at ..
well thanks for saying that C – and I am not trying to sound humble when I say this – but most posts just fall into line easily for me – and this one is a prime example – because I was not sure how I was going to share my Florida trip – and then the invites to the B & W challenges came – at the right time – and also Indah had just done her B & W challenge with a part 2 (stories) and so the idea came from that. and then it was a matter of picking my fabs, resizing them – and maybe a little editing – but I like them raw and as-is as much as possible. but thanks again for the compliment. It looks as if you enjoyed your time away! welcome back Y! 🙂 great post as always! Welcome back! I loved the idea of having models on your benches and sharing a bit of their story. The video is very powerful and very interesting! Gosh! I need a bench to sit on- quick!!! So much information to digest 🙂 I love your atmospheric black and white (cheers for the link 🙂 ) and the first bench shot for Jude. Mark seems a very personable young man and I will certainly share his video. And this post 🙂 Welcome back, Yvette! Kia Ora, Yvette! And welcome back. I liked the way the sky was reflected in the windows of your B&W photo. But I have to say may top favourite is your very first photo of Mark Barker. it oozes personality. When he remarked he liked the composition of your work I knew there was a story to this man – and there is. What a life, what a history! Romper Room was owned by a company up in Philadelphia and they had selected a woman who was the romper room teacher and she was doing fine, but her husband was transferred so she was going to leave the show…. Well, when I was doing that Marking Time program, I had said in one of them, “If you really want to do something, if you really, really, really, want to do something hard, write it out on a little piece of paper: I want to do this ____. And you take it with you every where you go and you keep reminding yourself this is what I want to do. In all probability you’ll wind up doing it. Well, I’m interviewing people and Nancy Stillwell comes in to be interviewed and we’re chatting away. She reaches into her pocketbook and pulls out this ratty little piece of paper and it says, “I want to be the Romper Room teacher.” She was one of my people that I selected and she was the one that won the final thing and became Miss Nancy for Romper Room. And she was so perfect for that part. She was great! She’s a wonderful woman…. And he thinks he has nothing left to share with the world. He is an amazing person with an enormous wealth of knowledge to share with our generation. I simply love the great response to the story of “Mark Barker” Thanks so much! Thank you RoxAnne – A.K.A. – my former western new yorker acquaintance! I had 2 people email me offline some feedback too – and well, the pleasure was truly mine – and I am grateful for the timing of our meet up – 🙂 ❤ tell Mark I said hello! March 14, 2015 at .. The b& w is a good composition and I spy a little man standing on the roof with a homburg hat on!!! Now that video puzzles me a bit. It sucked me in and it was well put together BUT did I miss something? He was asking us to help, but how???? and I was expecting some ground breaking revelation as to what is actually causing Alzheimer’s. It is a very sad thing to happen to any one. What a lovely caring person the young man was. You must have enough material to keep you blogging for weeks Y (but don’t forget to live… ), I’m looking forward to more of your posts. Hi Pomme – and thanks for the nice comment – ❤ ❤ – and I do have some nice blogging material – I have about 50 street portraits that I asked for permission form the person – and then a about 30 pictures I took from a distance with people in action. And I know I do not have to pots them all – so right now my plan is to just do the next 4 entires for the 5 day B & W challenge and add some Florida pictures as the second part – and after that I think I will have had more than enough of the sunshine state! HA! and when Mark's assistant (caregiver ❤ ❤ – who really was amazing) well she said that mark was a little depressed because even though his wife (who is 72) is still alive – there is a great loss because she has Alzheimer’s – and I guess he moved out of his mansion and into a high rise – and also had to give up his pet – and she is not somewhere else getting full time care and can not remember this and that. truly a sad thing to lose your partner this way…. Thanks for clarifying the video Y I will check out the other link. I think our diet has a lot to do with our health so it would be a break through if they can discover a cure via our food. Sad for Mark to loose so much as well as his wife’s company. I love your street portraits idea, what a good way to interact with strangers and then you become friends for that moment in time. I enjoy reading your story along the images Yvette! It’s funny how Norm said about the wooden bench at the airport – not because I am a woodworker 😀 – it was also my thought at the beginning! I don’t recall to have seen wooden bench inside an airport! Good catch! I was laughing when reading this – “I asked if he was related to Bob Barker (he is not) and then we talked about how people “used” to ask me if I was related to Richard Pryor (I am not).” – so funny! But maybe – who knows?? You always make new friends where ever you go, I am sure I will enjoy the whole series of your 5 Day Photo Challenge. I am looking forward to it! 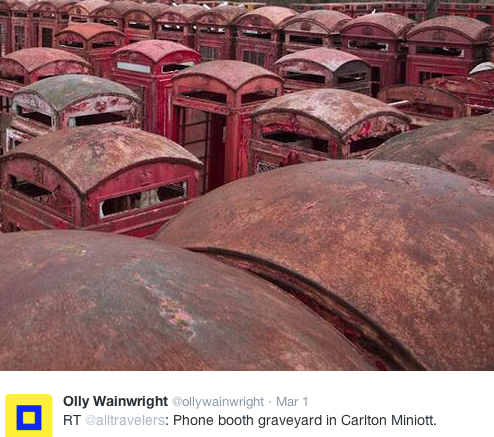 March 16, 2015 at ..
You do have a great eye for photography, hey, that Mr. Barker…89? I don´t believe that. Look at him, he´s as fresh as a 40 something. Glad you had a good time over there. Very interesting story and accompanied with the photos always makes it a great read. P.S. Can you really get the name of Mr. Barker´s assistant….she is kind of cute. 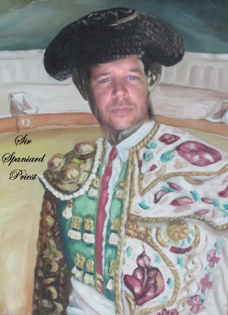 also, my next post will have a special shout out to you amigo – because while in Tampa – I looked down and saw "Spaniard" – and thought of CP4 – ha! I was going to say that you should have shown her that picture you have of the bullfighter that you doctored it and put my face on it, that would probably make her leave her husband in a hurry. So a Spaniard in Tampa, seems I´m everywhere. ha! well if she is single I will give her the link to Sir Spaniard’s awesome blog…. hahah, that´s a damn good looking Torero. thanks so much S – and I am not sure the whole scoop about giving up the dog – but I think Roxanne said the downsizing was not due to hardship $ – but was practical and more so he he could be closer to her treatment center – but his new place does not allow dogs (even though that seems cruel – to lose your honey and your pet in the same period of time – and most places usually allow small pets – under 32lbs) – so maybe they had a big ol’ dog – or who knows – but I pray for strength for him and that in his remaining years he will continue to share a bout of his essence – like he did that day with me outside the docs office…. and healing wishes to your momma – ❤ I am so sorry about that – ❤ ❤ – and let's see what Max uncovers – very interested. 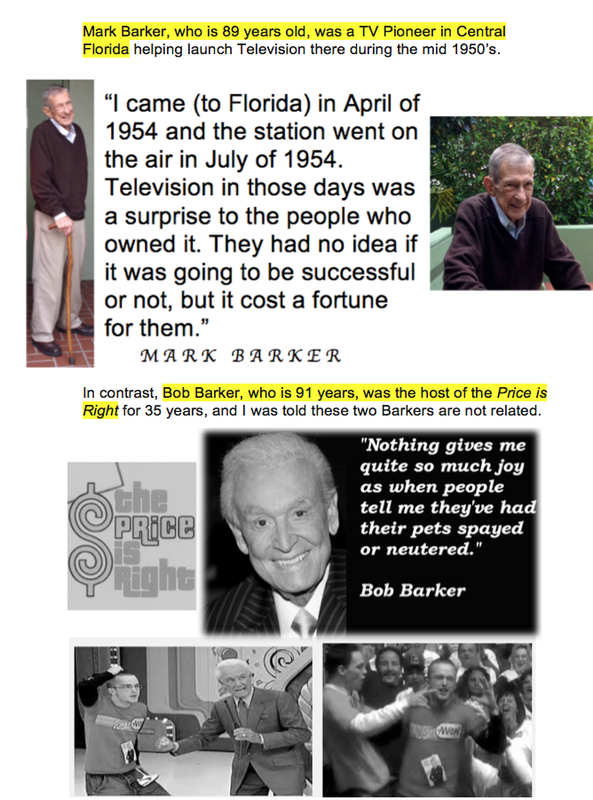 My favorite bit about this post is the Mark Barker story and photographs. They are really lovely images and the supporting story brings them further to life. I like to shoot street but do most of it anonymously so that I can capture people in the moment. What I like about your approach is the story behind the photograph that you uncover and share. Love the wooden benches. The design and functionality. I went by Marks today and showed him your pictures. I told him he is a star! He and his sons enjoyed them so much. Thanks. I just realized you caught a shot of my mustang in the reflection. Very cool! March 15, 2015 at ..
March 22, 2015 at ..
March 23, 2015 at ..
March 24, 2015 at ..
March 25, 2015 at .. I swore I looked at this post before, but I guess I never got around to commenting. I love that 1st image of Mark. He looks so so joyful. In each of your posts I love meeting the people you come across. You must leave such an impression on them as well. A great thought/ idea. I’m sure the more it’s used, the more it will spread. I didn’t know they only planned to keep him for 1 season. So glad they kept him on. Jesse was by far my favorite character. I think his character helped balance Walt’s. Walt dove full into his crime. He became the person he needed to be to be successful, to be the best, in his chosen business. Jesse however, was only in it because of his blatant admiration for Walt and due to that same thing, he was easily manipulated and thus had his whole life ruined. He was emotional where Walt was not, and I think it helped shed a fuller light on the concept of diving into a life of crime. The pros- Walt, the cons- Jesse. I could go on and on…I also love how unique the show is artistically. How each of the characters have their own, very specific color scheme, how some of the filmed shots are filmed more in an aesthetic sense, than a furthering the story sense, etc. Better Call Saul, while also wonderful artistically – red for evil, blue for good (I can find you the links to the color stuff for both shows if you wish), and an intriguing intro, it was much dryer than breaking bad. At this point in the series it really cannot be considered the same genre of show by any means. It is interesting to know Saul’s back story, but I guess I’ll just have to keep an open mind and see where it goes. and regarding the characterization of Jesse and Walt – I like how you noted it -and I also like how each of the characters cover a plethora of human emotions and changes – which is hard to depict in a series – but they nail it – with depth – and it is believable. Also…. watching BCS (and being annoyed) actually made me appreciate the writing and story line in BB even more – and I found that my criticisms of BCS were sometimes developed in comparison to BB – which is expected because it was a spin off show, but I had to stop and way – new show news show! but Only 3 episodes I felt were really good, and the others were disappointing. I felt like I was eating at my brother’s restaurant trying to talk up the appetizers because the entrees sucked. During the least episode of BCS my husband finally agreed that it was really missing much. now sure, a fine show, but not great- not great like BB. and there is a difference in the superlatives – – fine, good, above average and then great! BCS is fine. Now that you mention it, I don’t think I fully formed an opinion of BCS until the last episode either. I was trying so hard to give it a chance, and not that I’ve given up on it, but you’re right, it was all about laying a foundation – not a lot of stand alone story lines, etc. It has potential I think, but it needs to be better developed. BB definitely nails it’s characterization which is the biggest thing that keeps me watching shows. You have a point there. I am wondering where they’ll take BCS though – will it end right up to BB? My BF seems to think that it will end with us seeing the backs of Walt and Jesse in Saul’s office, which could be interesting. I watched the interview with the writers on the BCS website and the way they were talking in a way that seemed a bit grandiose- like maybe they thought the show was so good and forgot to have a panel give feedback. sometimes that happens when you earn awards and start so high – you might forget the value of rich feedback. Riding on the coat tails of BB probably won’t get them as far as they hoped. Seeing his law school days would have been quite interesting… ah, who knows who knows. If you don’t watch next season let me know. I assume we’ll end up binge watching it and I’ll let you know if it picks up at all. well someone told me they were looking at 2016 for next season. And we will probably watch it – but not expecting much – and well, after our sharing here – I will definitely whip out my BCS post this weekend. well do you mind if I mention a bit of your feedback as well? of course not! Share as much of it as you’d like. Thanks, you too. I wanted to mention that that little pig you sent helped inspire a nightmare gif/ image set I’m planning. I know it sounds roudabout, but it got me thinking about pigs and then I saw a creepy pig head at the toy story and the rest is history. The little pig will just be sitting on a nightstand though. Anyway, I’ll send you the link whenever I’m able to finish it. happy to hear it 🙂 I’ll await your email.